Adult Basic Education - a component of adult education. ABE is instruction in the basic skills below the 9th grade level (0-8.9). 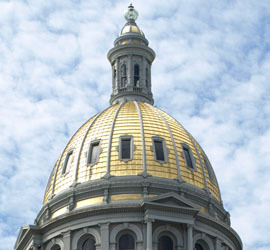 Adult Basic Education Authorization-The authorization is a state-issued credential for adult educators in Colorado. It is the minimum professional standard for instructors in Colorado adult education programs that receive AEFLA funding. Adult Education and Family Literacy Act - Title II of the Workforce Investment Act. Old acronym for Aid to Families with Dependent Children which was replaced with TANF. American Federation of Teachers, one of two teachers unions, the other is NEA, and at the Colorado level, CEA. America’s Labor Market Information System - National databases to permit the seamless transfer of labor market information within and between states in a standardized format. A component of adult education. 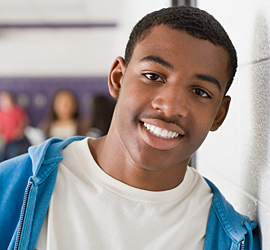 ASE is instruction in basic skills at or above the 9th grade level (9-12). Basic English Skills Test -The BEST is designed to test listening comprehension, speaking, reading, and writing skills of limited English proficient adults. Board of Cooperative Educational Services - Frequently BOCES are a group of smaller districts that band together to use their collective for a better use of funds. Also known as BOCS. Board of Cooperative Services. Also known as BOCES. Comprehensive Adult Student Assessment System. Standardized assessment instruments for assessing adult basic skills within a functional context. Colorado Basic Literacy Act – state law that ensures students are reading at grade level by third grade. Replaced with the READ Act. Community Based Organization - a local organization that works with one specialized population or group of clients. (i.e. : youth, women, adult learners, ex- offenders). 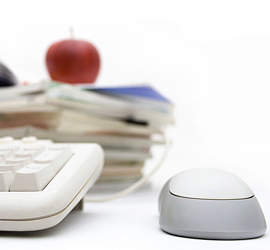 Computer-Based Training - the dissemination of text for instruction via electronic means. Completion, Recall, Open-ended, Wh- questions, and Distancing. Prompts used in dialogic reading. Educator Identifier Project. Purpose was to improve teaching and learning by linking student achievement data to the students' teacher(s). Employment First - A federally mandated program designed to ensure that all able- bodied food stamp participants funded by the US Dept. of Agriculture clients are engaged in activities that will improve their employability. Educational Functioning Level – The levels at which adult learners in AEFLA-funded programs are initially placed based on their ability to perform literacy-related tasks in specific content areas. Faith-Based Organization - Organizations that have their charter from a particular church/religious affiliation. Individual Training Accounts - Workforce Investment Act funds used to pay for training; or a voucher system established under WIA. It is part of the set of services available to those customers needing specific occupational skill attainment. Labor Market Information - The cornerstone of Colorado’s delivery system for employment statistics. Malcolm Baldrige Quality Criteria - Named for the late U.S. Secretary of Commerce, a national program to stimulate companies to become competitive in the area of quality management using leadership, strategic planning, customer and market focus, information and analysis, human resources, process management, and business results. Prompts the child to say something about the book, Evaluates the response, Expands the child's response, Repeats the prompt. Dialogic reading prompts. Priority Improvement or Turnaround. 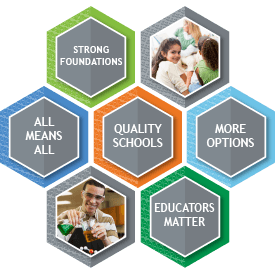 Refers to school and/or district’s annual ratings on the annual Performance Framework. State Assigned Student Identifier Numbers. Student Educational Plan- An individualized plan for instruction that assists a learner in achieving his/her goals. Temporary Assistance to Needy Families - Also known as welfare or AFDC, a time-limited program specific to low-income families.